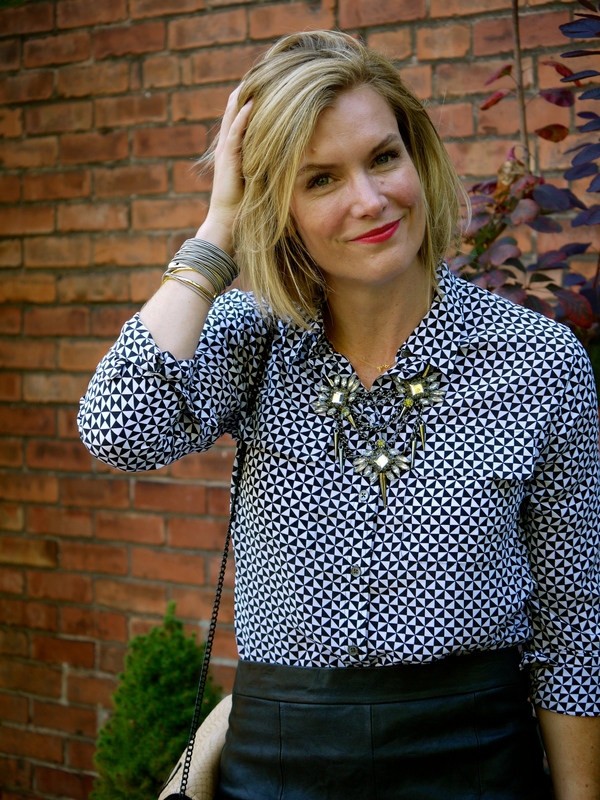 I’ve been living in black and white lately – maybe it’s the transition from summer’s bright hues in preparation for the darker shades that fall brings. If you follow my outfit posts on Instagram, you’ll see my variations on this outfit theme of late. I’ve also been working more this month, which means fewer jeans and tees and more “professional” wear. 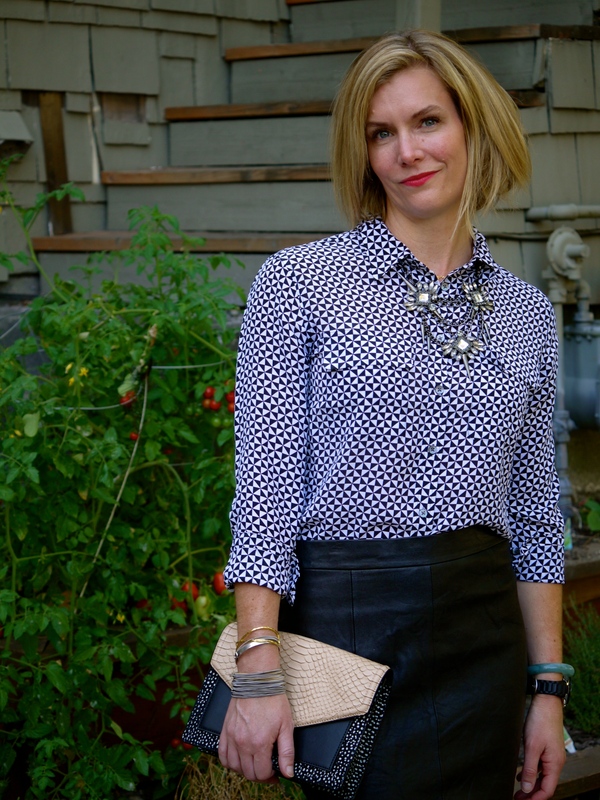 A silk top, such as this one, is a perfect transition piece because it is demure yet keeps you cool even in these lingering warm, early fall days. Essential to tonal dressing (or really any outfit) is adding a pop of color and/or texture with accessories. Here I add interest with the blue shoe and a bit of sparkle and edge with the statement necklace, worn on the outside of the blouse. Finally, the clutch adds more texture and, because it is in the same color pallet as the outfit, it all seems to make sense. In essence, your accessories should be telling the same story as the rest of your outfit.